As reported on Reuters by a Los Angeles County coroner’s spokesperson on Thursday - Pop star Whitney Houston died of accidental drowning due to the effects of cocaine use and heart disease. She died at the age of 48 and spent a number of years battling addiction to drugs including cocaine, was found submerged in the bathtub of her Beverly Hills hotel room on February 12, the eve of the Grammy Awards. The Montreal Gazette also reported that an autopsy into Houston's death found that the cause of death was accidental drowning with heart disease and cocaine use contributing, Los Angeles County Coroner's spokesman Craig Harvey said. Harvey said toxicology tests also turned up marijuana, an anti-anxiety medication, a muscle relaxant and anti-histamine in Houston's system. Those drugs were not found to have contributed to her death, and no trauma or foul play were suspected, the coroner's office said. A final report was expected to be made public within two weeks. 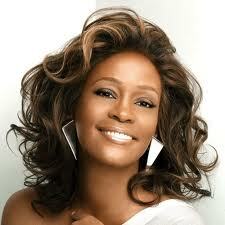 Drugs took their great advantage of Whitney and it is sad that there are still artist(s) doing drugs out there. The reports might also suggested though not stated that the cause of her death was coke, she was maybe higher than the mountain - STOP DRUG ABUSE!